Peace Coffee, a “fair-trade” coffee company established by a nonprofit in its basement, has been purchased by its longtime CEO and a business partner. Wallace is joined in the buyout by Kent Pilakowski, a veteran consumer-food marketer who spent years at General Mills before running his own company, which worked with small, specialty-food producers who needed sales and marketing strategy and services. Peace Coffee was launched in 1996 by the Minneapolis-based Institute for Agriculture and Trade Policy (IATP), and a group of impoverished Mexican coffee farmers during a period when prices had bottomed out. 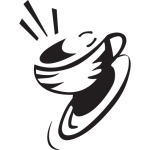 By 1999, Peace Coffee was one of 24 U.S. “fair-trade” coffee roasters that formed Cooperative Coffees, which worked with farmers from Guatemala to Rwanda to meet fair-trade international certification and bypass coffee brokers. They paid higher prices and also inspired a North American movement among many coffee companies to treat growers better. This year, Peace Coffee expects revenue to top $8 million, more than 80 percent generated from wholesale sales to retailers, including Kowalski’s, Coborn’s, Lunds and Byerlys, Target, food cooperatives, coffee shops and colleges. Wallace said the company is growing sales more than 10 percent annually, a strong showing in a coffee-saturated market, thanks partly to the recent addition of a retail shop near its headquarters in south Minneapolis, and a first-floor and skyway cafe in the Capella Tower in downtown Minneapolis. The company has 58 employees. Peace Coffee is a public-benefit corporation, among a growing group of about 100 “socially conscious” Minnesota businesses. The 2015 Legislature created the new business category, in which owners commit to doing some sort of social good. Some are startups, while others — including Peace Coffee and St. Paul-based Sunrise Banks — are established companies that chose to become public-benefit corporations when lawmakers created the new class. Wallace noted that Peace Coffee pays entry-level workers more than minimum wage and exceeds local-benefit standards. “If we can sell more coffee and do better things for coffee growers, we also do more for our employees,” Wallace said. Peace Coffee always has had an eco-friendly bent, including delivering some of its coffee by bicycle-powered carts.